Introducing the ICE Urban Range | Industrial Cleaning Equipment Ltd. The new ICE Urban Range has been introduced to support our growing client base in delivering high quality and sustainable cleaning solutions. 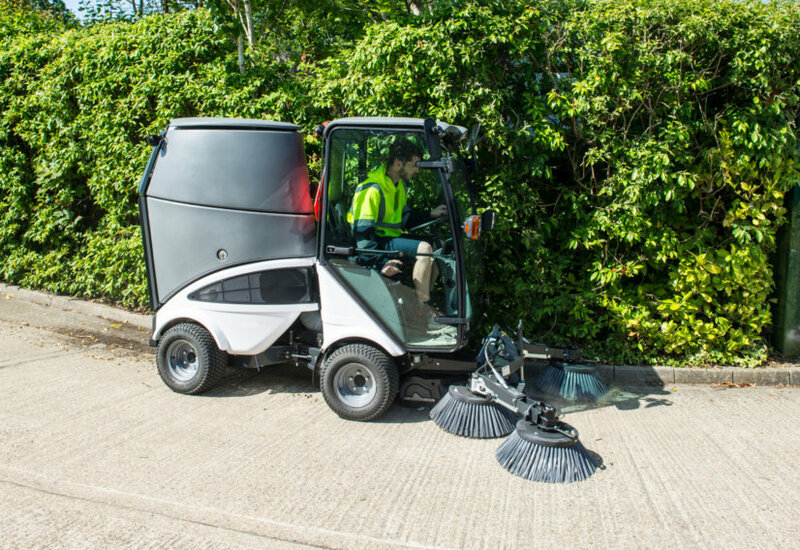 The new range includes the ICE Urban 3500, which is perfect for sweeping town centres, streets, paths and car parks. It is very easy to manoeuvre, meaning that the operator can easily sweep around any obstacles. The machine has a sweeping width of 1.3 metres – 3.1 metres, and the brush pressure can be adjusted during operation as required. It has individually moveable front brushes, a 1.6 metre high-dump for emptying waste, and a large tank capacity of 1,400 litres. The ICE Urban 3500 gives the flexibility and versatility of an all year multi-purpose machine, and at the same time it offers the power and performance of a single purpose machine. Grosvenor Services use equipment from our urban range at the Westfield White City Shopping Centre, and have found that they achieve excellent results. We also have a number of more compact sweepers available within the range, for cleaning narrower areas, such as the ICE Urban 2150 or 2250. Both of these sweepers are versatile and compact, and allow easy access to narrow areas.